The Casa Blanca Inn in Farmington, New Mexico is an ideal place to stay for those visiting Monument Valley, Chaco Canyon, Mesa Verde National Park, and Durango, Colorado. When you are on the grounds, enjoy the peaceful gardens, calming fountains, and beautiful accommodations. Casa Blanca Inn provides exquisite touches in every suite or room. We also have larger, private, long-term rentals available. 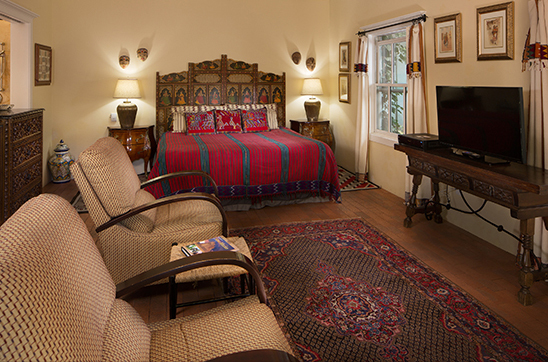 Our rooms and suites feature hand-carved furniture, Navajo rugs, and colorful Guatemalan, textiles. The gracious common areas reflect the history of the hacienda and include a library, entertainment center, living room, and courtyards with fountains and ponds. Guest rooms feature private outdoor sitting areas and mini-kitchens. The Inn presents a complimentary Southwest breakfast each morning featuring our homemade recipes. Historic downtown Farmington, New Mexico is blocks from the Inn, and a variety of activities are at your doorstep, from fishing in the San Juan River below Navajo Dam, to golfing Pinon Hills Golf Course, touring the Aztec or Salmon Ruins or shopping the area’s trading posts. Our friendly staff are happy to help you plan your travels and ensure a comfortable stay. This place was an oasis in the middle of the town! What a gem…My only wish is that I could pick up the entire place and bring it back to my home town. This place is like a little piece of Santa Fe hiding in Farmington. It is well detailed with good quality art . 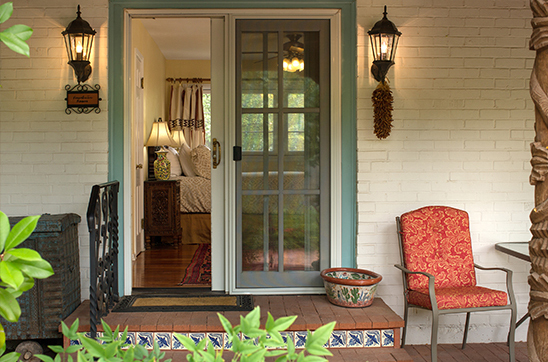 From the greeting by the host to check out this place has style and comfort. Give it a try you will love it. 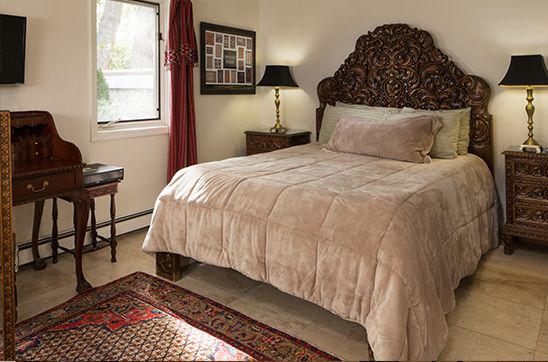 Beautiful bed and breakfast with large gardens and spacious rooms, many of them have Whirlpool tubs. The staff is great and accommodating. Breakfast is always delicious. There are Tesla superchargers in the parking. Great find off the hotel path. This is a house with cottages and rooms. Very home-like stay, great garden and common room. I highly recommend staying. 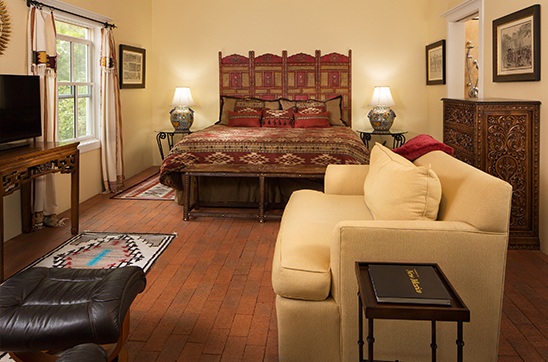 The Casa Blanca Inn features 9 individually decorated suites and rooms. We take pride in having amazing accommodations. Stay two nights get the third one free! Valid through February 28th.